Well, the famous family doesn’t agree, and we get it. 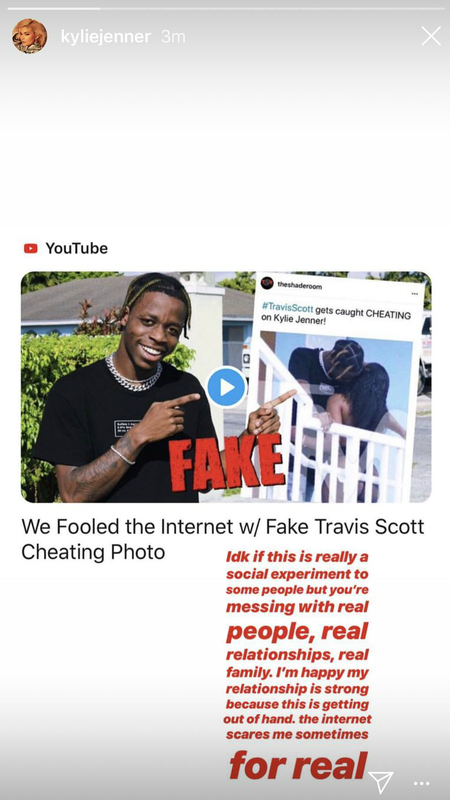 Kylie addressed the cruel hoax on her Instagram Story, calling the prankster out for “messing” with her life. "Idk if this is really a social experiment to some people but you're messing with real people, real relationships, real family," she wrote. "I'm happy my relationship is strong because this is getting out of hand. The internet scares me sometimes for real." She wasn’t the only one to chime in on the matter. Older sisters Kim and Khloé also tweeted their disapproval. Bottom line: Celebrities are real people with real lives and feelings, and there’s no excuse for this kind of “experiment.” Maybe just stick to a Justin Bieber look-alike eating a burrito next time, okay, buddy?